One of the biggest benefits of creating Instagram stories is the increased visibility that your business will gain on Instagram. Because these stories show up at the top of the app, not only will your followers see your posts in their feed, but they will also see your brand appearing at the top of the screen. The more places your brand can achieve visibility, the better opportunity your business has for promotion. Increasing visibility will help promote your brand, increase brand recognition, and provide additional opportunities to share content and make your brand memorable. In the age of the Internet and large, faceless corporations, people are beginning to consider the human factor very important when looking at businesses. Shoppers want to buy from businesses that have human faces and voices behind them. Instagram stories provide a great opportunity to show off the “human” side of your business. These stories will often showcase your employees and different activities happening in your company as well as moments happening in real time. These stories are not expected to be as “perfect” as Instagram posts, allowing your followers to see the real and human side of your business. As mentioned above, Instagram stories are not expected to achieve the level of perfection expected in an Instagram post. Instagram stories are often more real and raw than Instagram posts. Not only does this type of content allow you to show off a human side of your business, but it is also much easier to produce this type of content. You will not have to scrutinize every post. In your Instagram story, you can simply post a photo or video clip every time something interesting happens. This will allow you to create more content at a faster pace, increasing the amount of fresh content your users see on a day to day basis. Instagram stories are a great way to show the people behind your business. Post photos or videos of the every day goings on around your office. Showcase the people in your office doing fun, interesting things. Emphasizing your company culture is a great way to humanize your brand and build trust among your followers. Instagram stories provide a great opportunity to showcase snapshots of the people involved in your company. Instagram stories often consist of a few slides. Choose blog posts and content that can easily be broken down into a few slides and can be displayed visually. At the end of your slides, provide a link to your blog. Using your content in Instagram stories is a great way to promote your content and your blog. When you choose content that has a particular message that you want to get across to your followers, your story will yield results. 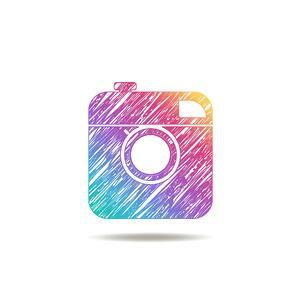 If your business sells a product or provides a service that has a visual component, an Instagram story is a great way to showcase it. Show what your product can do and how it works. You can also show what the effects of your product are, using examples with real people. If your product or service has visual results, an Instagram story is a great way to showcase it. If your business has an upcoming event, whether it be a new sale or an event at your headquarters, an Instagram story is a great way to promote it. An Instagram story can get your followers excited for the event and provide them with instructions about where to go and what to do. This method is an easy way to get your followers excited and get the message across quickly and effectively. When you are releasing a new product, Instagram stories are a great way to promote it. Tease your followers about a new product, revealing small hints that will get them excited and encourage them to follow the release. Instagram stories are a great way to encourage excitement about new products, as you can post continuously until the release. A fairly new feature of Instagram stories is the polling feature. Polling your followers is a great way to engage your followers and learn about them. Consider “this or that” polls, where followers decide which product they prefer. You can also poll questions such as “Will you join us at tonight’s event?” or “Will you be watching tonight?” to gather information and get followers excited about an upcoming event. Polling is a great way to engage your followers while gathering valuable information about them and their preferences. Having trouble managing your social media? Wondering how to figure out proper posting techniques on your own? Don’t be afraid to call in the experts! Whether you are just getting started or have an engine in place that needs fine tuning, ImageWorks can help you join the Social Media wave to get yourself recognized and generate more business. Market yourself and your brand to the 100’s of millions of online interactive users.